Paint Pals LLC –Professional house painters and commercial painting contractors. We do interior painting and exterior painting to homeowners and businesses along the Front Range. 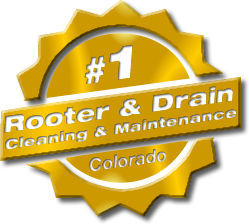 Lamas Plumbing Heating & Cooling – Longmont plumbing, heating and air conditioning contractors that bring professionalism to your doorstep. Our HVAC contractors promise 110% customer satisfaction. We also service all major brands of heating and cooling systems. True Security Inc – We ensure superior safety & security in Denver. We offer top security guard service to our customers as well as armed security, fire watch patrol, employee termination security, and more. The Spot Hair Salon– The Spot Salon provides hair cuts, hair coloring and waxing services in Longmont. Our hair stylists are talented, well trained and on trend. We are an upbeat, fun, and friendly atmosphere. You’ll walk away looking and feeling fabulous. aRejuvenation Spa – aRejuvenation Spa is a skincare and laser hair removal spa located in Longmont, Colorado. We offer many skincare treatments including microdermabrasion, customized facials and laser hair removal for both women and men in Longmont! Massage, nail, spray tanning and teeth whitening services are also available. The Colorado Group – The Colorado Group is the finest Boulder property management, commercial leasing, and commercial real estate company around. We have nearly three decades of experience in the Boulder commercial real estate market. When you connect with us, you have access to a large network of real estate professionals, buyers, and sellers. We have the most knowledgeable brokers who are connected to their clients, the community and the transaction. Radius Real Estate – We can offer the best in both service and value on your Longmont real estate needs. Let us help you with any Longmont home for sale, property for sale, or list your home and get maximum value for it. Carroll Mechanical Services – Carroll Mechanical Services installs, services, and repairs all heating and air conditioning brands with satisfaction guarantee. We tackle both residential and commercial HVAC systems. We provide top quality service at a reasonable price. We have plenty of experience in A/C installation furnace installation and all types of repairs. R Campos Masonry – We’ve been operating in Boulder, Longmont and the Colorado Front Range for over 20 years and we are known in the area as a top quality masonry company. Our services include superior stone work, stucco, block and brick masonry. We take pride in our work from the largest homes and businesses to smaller residential masonry needs. We are a top masonry contractor in the Boulder, Longmont area. Roy’s Electric – Locally owned and operated since 1996 and Better Business Bureau accredited! At Roy’s Electric we offer electrical services of all kinds, generator repair, installation. We are the electrical contractor of choice in Boulder. Commercial electrician Roy Forsgren and his team service all of Colorado, specifically northern Colorado, Boulder County, Denver, Longmont, Loveland, Berthoud, Campion, Estes Park, Erie, Frederick, Dacona, Louisville, Lafayette, Golden (yes, all over Colorado!). Production Company Dance Centre – We offer classes in Ballet, Tap, Jazz, Contemporary, Hip Hop, and more. We welcome all ages and skill levels to come check out our Longmont dance classes and see what we have to offer. Colorado Glass Solutions, Inc – Colorado Glass Solutions aims to be the best glass shop in Longmont. We offer commercial glass, custom glass, glass shower enclosures, residential glass needs as well. Contact us now and we will do our best exceed your expectations. We also offer stained glass. We are conveniently located right off I-25 in Longmont and we are happy to offer free estimates. Quality Renovations & Home Services – Top-quality construction, home remodeling and superb workmanship. We’ve been in this business for over 20 years and know construction management inside and out. We are reliable and keep an ongoing dialogue with our clients that creates a high level of trust. Our remodeling contractors would love to assist in making your new kitchen or bathroom or whole home remodeling project a success. Avina Painting Group – A Longmont residential and commercial painting contractor. We know the importance and value of offering the highest quality exterior and interior painting services at a very competitive price. We are a family owned Longmont painting company with over 30 years of collective experience. We focus on quality house painting services, business painting projects, and customer satisfaction. Blue Valley Energy – Blue Valley Energy offers installation, service, and repairs on heating and cooling systems for your home or business needs. 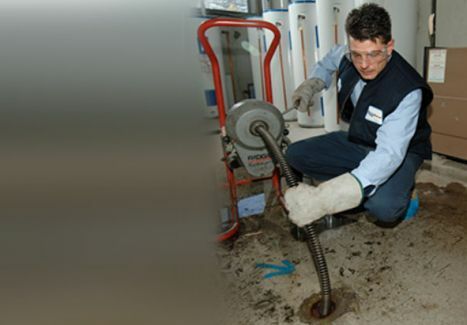 We have been in business serving Longmont and the Front Range area for over 30 years so we know furnace repair, air conditioning repair, HVC systems completely. 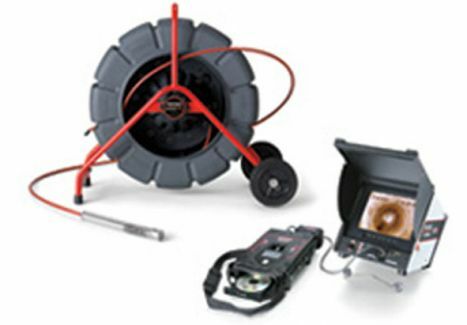 We also offer geothermal heating and cooling system maintenance and installation. Our heating and cooling contractors are very knowledgeable and are here for you. Longmont Business Marketing – We implement internet marketing strategies that have proven results. Longmont Business Marketing delivers. We take the time and effort to work with each client and assess their specific business marketing needs to ensure success. Local business website design, implementation, and local internet marketing to be seen! Best Auto Repair Longmont -Best Auto Repair of Longmont provides top-quality car care in Longmont. We promise honest and professional auto repair and auto maintenance services. Our quality ASE (Automotive Service Excellence) certified auto mechanics use the latest automotive technology and are experienced enough to handle all major and minor car repairs and tune ups on both foreign and domestic vehicles. Buffalo Landscaping & Snow Removal – Buffalo Landscaping & Snow Removal is the best Greeley landscaper. We offer landscape implementation and maintenance for commercial and residential locations. We are local to Greeley so we are sure to be close behind whenever snow falls. We take pride in delivering quality service at a fair price–that’s how we get most of our Greeley landscaping and snow removal business–referrals and repeat happy customers. Lifecycle Hot Air Balloon Adventures -The view of the Front Range from high above. You can float with a gentle morning breeze and experience the beauty of our Colorado scenery. We offer a unique panoramic view of the Boulder area and the Colorado Mountains in a safe peaceful hot air balloon with a qualified and experienced guide. Take a spectacular Colorado balloon ride today. A Great American Print Shop – We are a full-service Denver print shop, that can copy and print virtually anything. Years of experience has helped up develop printing and copying processes that allow us to meet high volume requirements, while still servicing our customer base to complete satisfaction. For all your printing needs including color copies, banners, business card printing, laminating, poster printing, rubber stamps, and more. Quality Denver color copying and printing services with quick turnaround. 3R Roofing LLC – 3R Roofing LLC specializes in roof repair, roof maintenance and even roof replacement. We are a quality Boulder roofing contractor that offers commercial roofing, residential roofing solutions. 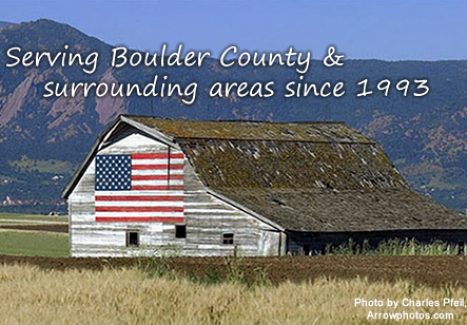 Our Boulder roofers have decades of experience. We are fully licensed and insured. Call us today for a free inspection. Bendelow Law Office LLC – Bendelow Law Office LLC is your experienced, capable, and friendly Longmont attorney. No job is too big or too small. When you need a lawyer on your side that you trust, give us a call. We represent individuals, partnerships, businesses, governments, and associations of all sizes and types. Carworks of Longmont Auto Repair – We are a trusted family business that provides auto repair service to Longmont and the surrounding front range community. We have the highest standards of quality, affordability, and customer service. We specialize in transmission repair, brake repair, auto tuneup and many other auto repair services. Our auto mechanics are the best in town! Cafe of Life Longmont – We are truly a unique chiropractic & massage studio here to help relieve your pain and move you toward your best self. We know that we are all meant to live a happy, healthy, and vibrant life. We wish for you to start that journey now with our Longmont Chiropractor or our Longmont massage therapist and caring staff. Maurer Painting, LLC – Maurer Painting, LLC offers full or partial interior painting, exterior house painting, faux painting finishes, wallpaper removal and even deck restoration. We also offer a custom color consultation to assist you with your design and color needs. Maurer Painting, LLC is a full service residential Boulder painting contractor with experience and skill at our backs.